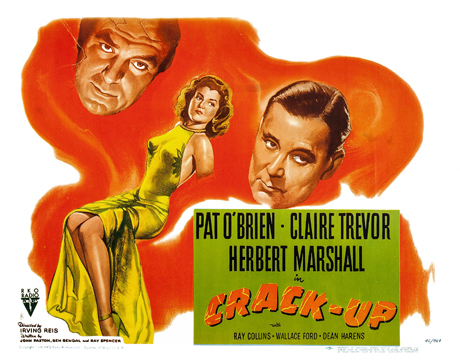 Crack-Up is a film noir from 1946 staring Pat O’Brien! 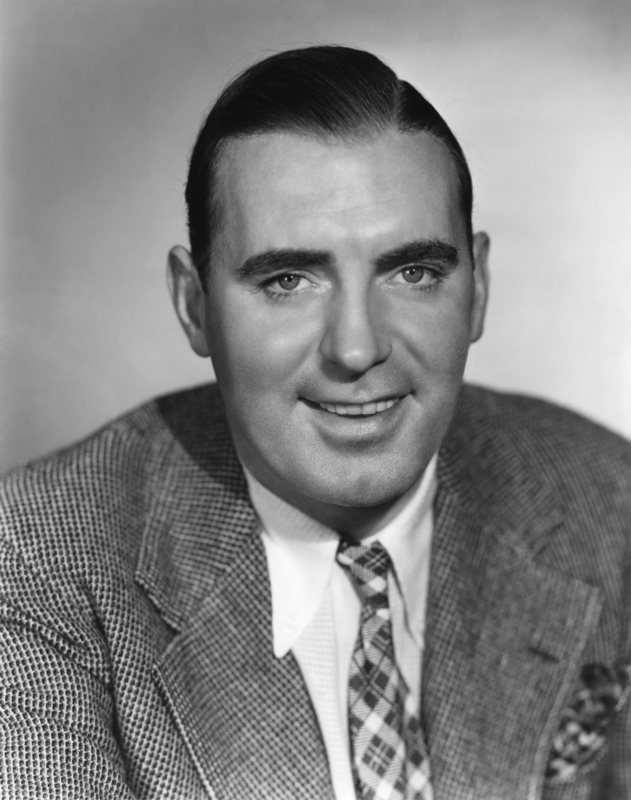 Crack-Up is based on a short story from Fredric Brown and is directed by Irving Reis. Our leading lady is played by Claire Trevor. Trevor appeared in many film noir threw out her career. 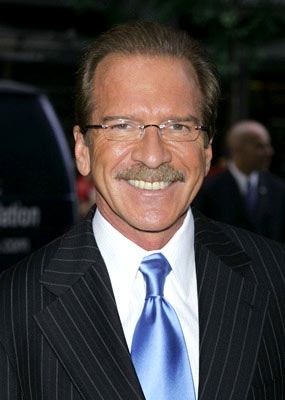 Character actor Wallace Ford plays our lead detective. The story starts out with our hero breaking into a museum and looks to be drunk and out of control. He is followed in by a police officer who wants to arrest him for public drunkenness and for trying to take a swing at him. The board for the museum is having a meeting at this time and recognize our hero and ask if the police officer will let them take care of him. He isn’t drunk he is sick. Our hero comes to and tells our detective how the last thing he remembers is being on a train when it wrecked with another train. The only problem is there was no train wreck! This is where the mystery takes off. Why does he think there was a train wreck? What happened to our hero? Was he drugged? This mystery is just the beginning, as we have murder, art, money, dames, conspiracies and a twisting plot that will leave you swinging in the wind. This is not a widely watched film with a 6.6 rating on IMDb from only 657 voters. I would say this is a far rating and is worth watching for the hard-core film noir fan, but not a film I would recommend for somebody that is looking for just a few good examples of the genre.